Scott Clark is an international agriculture development specialist with over 20 years experience in both the non-profit and private sectors. He is currently the director for CNFA's Farmer-to-Farmer program, based in Washington, D.C. 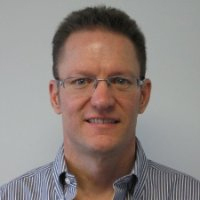 Prior to CNFA, Scott worked for TechnoServe holding various positions, including the senior program manager for the Africa Division. He has held long-term project management positions focused on food security and export agricultural development in Ghana and Mozambique. Scott served as a Peace Corps volunteer in highland Ecuador, where he worked as an agricultural extensionist. He has conducted short-term assignments in 15 other countries throughout Africa, Latin America, and the former Soviet Union. Scott holds an MA in Latin American Studies with a focus on agricultural development from the University of New Mexico, and a BA in History with a focus on developing countries from the University of North Carolina at Chapel Hill. He is fluent in Portuguese and Spanish and has a basic understanding of French.